You get 30 servers in every container and each container is 909gms or 2lb. Choose from a wide range of flavours in the drop-down menu below. Earn up to 2,348 Points. What do you get with each serve of Optimum Nutrition Gold Standard Protein? Each serving delivers 23 grams of high biologically valued protein and only one gram of fat. 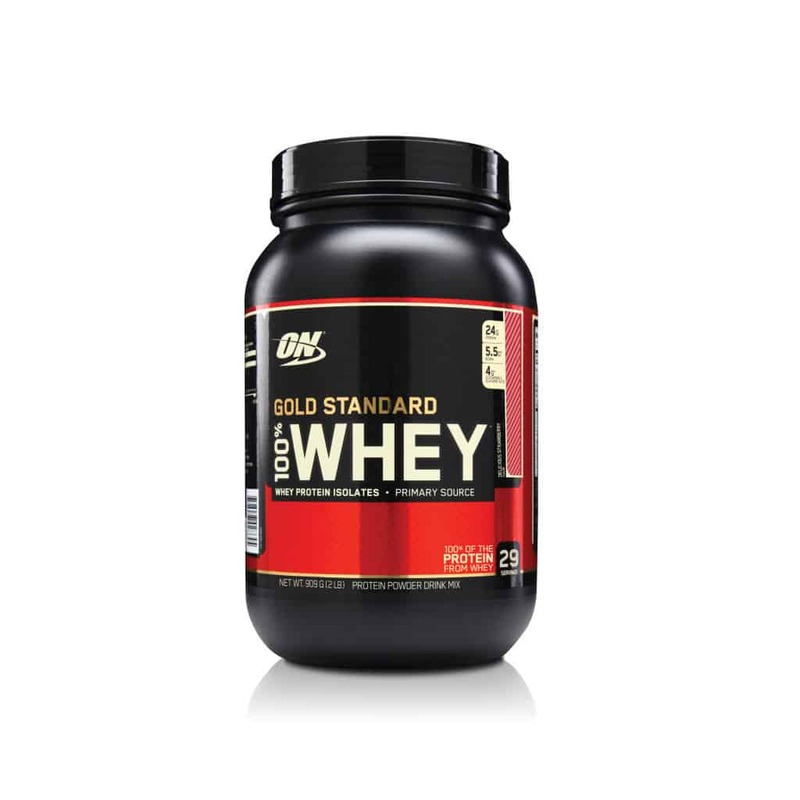 For those who are looking towards the lean look, the 100% Whey protein by Optimum Nutrition will be an important part of your stack. It contains no added carbohydrates. Each serving has only three grams of carbohydrates, making it an excellent choice for individuals on low carbohydrate diets. What is the Gold Standard Protein made from? This protein product is made from microfiltered WPI (Whey Protein Isolate), ion exchange WPI, ultrafiltered WPC (Whey Protein Concentrate), and hydrolysed “Hydrowhey” peptides. This combination provides you with a substantial serve of ultra pure whey protein without all the fillers and additives. 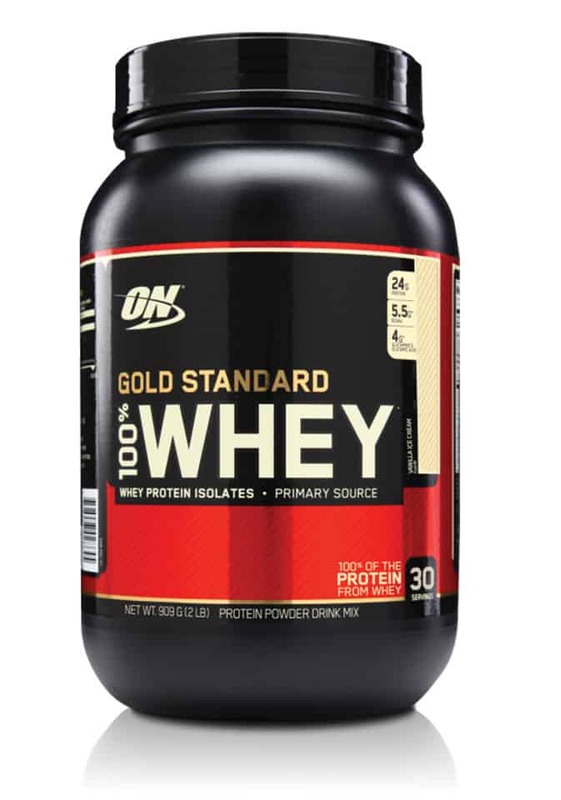 Optimum Nutrition has forged their place as an industry leader and this is typified by the dominance of Gold Standard 100% Whey, one of the world’s best-selling whey protein. This is why a veritable smorgasbord of world-class athletes are using their products, such as IFBB pro Steve Cook. Cook has been one of the most recognisable faces in the sports and fitness industry over the last few years. His supplement intake increases as he begins to cut calories leading up to a contest. This is because he looks to maximise gym time and ensure he leaves nothing to chance. 100% Optimum Whey Protein provides the perfect balance of Essential and Non-Essential Amino Acids including a high concentration of Branch Chain Amino Acids. This improves nitrogen retention and muscle growth. It also contains lactase and aminogen digestive enzymes to further enhance absorption and make this product even more friendly to lactose intolerant individuals. 100% Optimum Whey Protein has a higher protein percentage and has been one of the leaders in the market for some time. 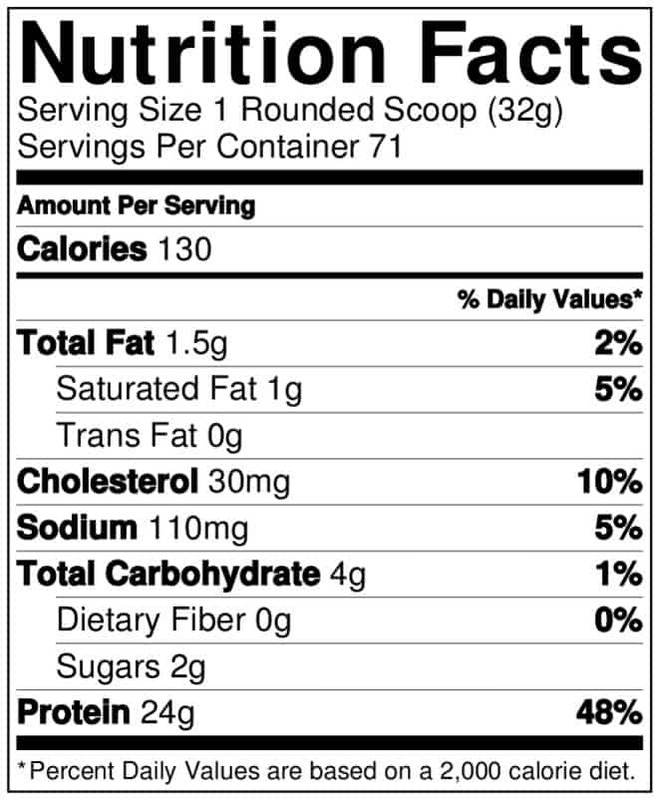 With 23 grams of protein in just over a one-ounce serving (1 ounce = 28.3 grams), it’s more than 78% protein driven. With an instantised formula that mixes easily and tastes delicious, try mixing one scoop with your oatmeal, yoghurt, muffins, pancake and other recipes.